The unemployment rate had declined to 4.2 per cent in the final quarter of 2016, from the 4.5 per cent that prevailed during the third quarter of 2016. 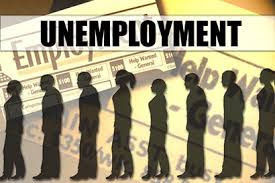 According to the data from the Department of Census and Statistics, the decline in the unemployment rate can be attributed to the reduction of unemployment rate amongst females which had declined from 7.6 per cent to 6.8 per cent during the final quarter of 2016. Accordingly, the overall unemployment rate among females is 6.8 per cent and 2.7 per cent among males. Youth unemployment rate (age 15 – 24 years) corresponding to the fourth quarter 2016 is 21. 0 per cent and it is the highest unemployment rate among all other age groups. The survey results further revealed that the unemployment rate among females is higher than males in all age groups. Youth and female unemployment contribute more to the overall unemployment of the country. The highest unemployment rate is reported from the G.C.E (A/L) and above group which is about 7.6 per cent. Corresponding percentages are 3.7 per cent and 11.6 per cent for male and females respectively. Female unemployment rates are higher than those of males in all levels of education. This further shows that the problem of unemployment is more acute in the case of educated females than educated males. This has been observed consistently over the results of previous surveys as well, the statistics further reveal.